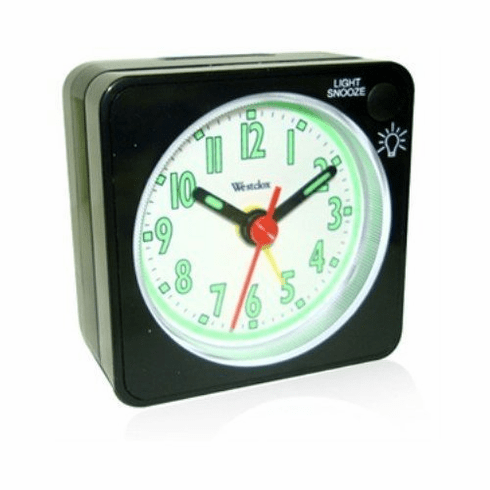 The most compact of Westclox alarm clocks is ready for duty with a pleasant "beep" alarm sound and bright white dial for viewing ease. These essential features are complimented by a light and snooze on demand to meet all your alarm clock needs. On your familiar bedside or in a hotel room on the other side of the world the Journey will wake you up and be more mobile that most travel alarm clocks.